A top 50 University in the Guardian University Guide 2019. 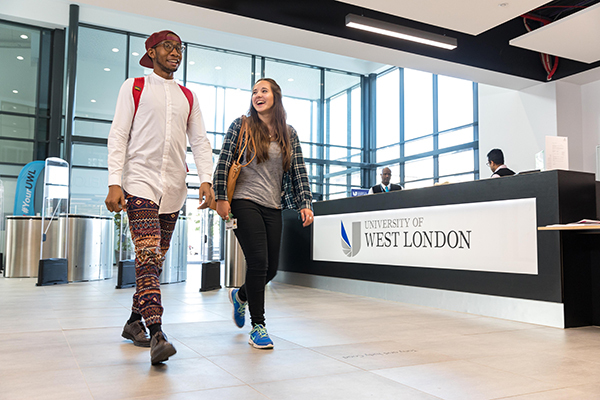 The University of West London not only provides a high quality education closely linked to employment, but puts the student at the heart of a friendly and supportive community. The university has invested £150 million in a new campus at its Ealing site to improve students' learning and social experiences; the development included a new library, refurbished Students' Union, new teaching facilities and new studios for the student radio station. Located in west London the university is on the fringes of one of the UK’s most successful business regions ‘The Golden Mile’, as well as excellently connected to the city. A 20 minute tube or train journey will take you to/from Central London or to/from Heathrow Airport. UWL has close links with industry including national and multi-national organisations. All of the Schools have highly qualified staff who have a wealth of industry experience in their chosen field and are committed to developing the skills and career aspirations of students. The university boasts purpose-built accommodation at their Brentford site, with a free shuttle bus provided between campuses and Ealing Broadway. The University has a vibrant student community and all students have the opportunity to get involved with the Students’ Union who have a diverse range of societies and special events catered to all. 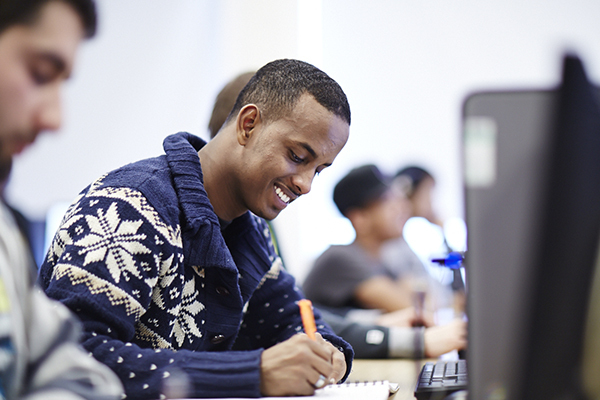 UWL offers two main intakes; every January and September, as well as May for the Extended Masters programmes. For students in their first year of UG or PG study the university also offers up to 100 International Ambassador Scholarships (worth up to £5,000) each year – giving you every reason to apply for your studies in west London. The University is located in vibrant and safe areas of west London where students can expect multinational communities on their doorstep. There are excellent public transport links and also a free shuttle bus between UWL’s west London sites and Ealing Broadway station. It is less than 30 minutes on the Underground to the very heart of the city with Cross Rail soon to improve transport links further. UWL has a total of three sites. Two sites can be found in west London – Brentford and Ealing - and the third in Reading, which specifically hosts Nursing and Midwifery students. The Ealing site is based in an attractive historical district with many cafes and parks and is close to Ealing Broadway Shopping Centre (home to fashion, beauty, electrical, telecoms and groceries). The site itself is UWL’s primary teaching space but is also home to various coffee shops and restaurants, the Students’ Union gym and bar. Further sports facilities such as a football pitch and a cricket green can also be found locally in Ealing. The Brentford site is a modern 11-floor facility, easily recognised when travelling along the M4 corridor, and is also home to Paragon Lets; the university’s purpose-built accommodation. Brentford train station - less than five minutes’ walk away - provides direct train links in to London Waterloo or out of the city towards Windsor. As part of the redevelopment project that UWL recently completed, a variety of new teaching and learning facilities were created across both the Ealing and Brentford sites. Among them is a 24-hour access library, a mock courtroom, specialist radio studios, a fully equipped theatre and specialist simulation centres for students studying with the College of Nursing, Midwifery and Healthcare. A Food Innovation Lab has recently been launched, as has the Westmont Enterprise Hub – a start-up incubator, and The Faringdon Centre which houses ground penetrating radar technology. A new flight simulator (Flight Pad) is also to open imminently. UWL Students’ Union (UWLSU) was recognised as the Best Students’ Union in England in 2017**. The main aim of the Students’ Union is to represent both individual students and the student body as a whole. Students can also join any of the student-run societies on campus, with a variety to choose from. UWLSU also has its own bar, coffee shop and gym which students can benefit from throughout the year. Safe and secure housing is a necessity for international students while studying at university. There are various options available to international students studying in London including private accommodation, shared housing or Paragon Lets. Paragon Lets is UWL’s on-site student accommodation site run by Notting Hill Housing and is highly recommended for first-year students. This purpose-built student residential accommodation is located on the Brentford site. Each of the rooms has broadband internet access and en-suite toilet and shower facilities. Communal kitchens and dining areas are fitted out for every group of eight rooms. The university recognises that students will want to explore what London has to offer whilst studying and helps facilitate this by providing a free shuttle bus service to connect the sites to main transport links. The UWL Shuttle Bus service connects Ealing Broadway (Central line, District line, Circle line, Cross Rail and mainline trains) to the Brentford site (5-minute walk to Brentford mainline train station). In between it also stops at the Ealing site and South Ealing station (Piccadilly line), providing students with every opportunity to make the most of their time in the city. Integrated Foundation courses (as part of a degree), Extended Masters and pre-sessional English courses are also offered. The Course Enquiries team at the University of West London is always available to help students choose the right course from a full spectrum of arts, business, health, and media courses – this includes an appropriate foundation or English course if the student does not have the grades to go straight into a degree. International students applying for undergraduate courses can apply to UWL directly using the University’s online application form. Alternatively, students can apply using the Universities and Colleges Admissions Service (UCAS). Applicants to postgraduate courses must apply directly to the University using the online form. Postgraduate applications will be considered together with referee reports (if required) and students may also need to attend an interview. Overseas students at the University of West London will need to pay the full cost of their study. The level of fee the student will have to pay varies depending on certain requirements. The requirements will also vary depending on the level of study and the course chosen. Students must pay £3,000 of their fee as a non-refundable deposit when they accept an offer from the University. For those whose fees are being paid by an overseas sponsor, full payment of fees during or before enrolment is mandatory. More information on tuition fee requirements can be found on the university’s website. 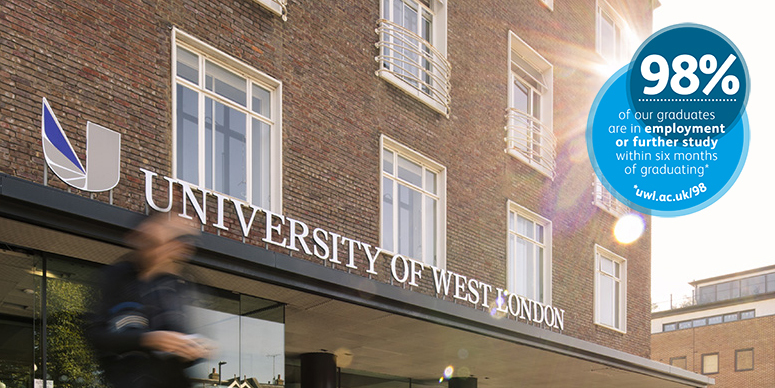 The University of West London offers up to 100 International Ambassador Scholarships each academic year to students in their first year of either UG or PG study. These scholarships provide financial support (through a discount on first-year tuition fees) to outstanding students who wish to become ambassadors for the university. *The Times / Sunday Times Good University Guide 2018. **National Student Survey (NSS) 2017. † These are the latest figures according to Employment Performance Indicators (EPI) released by the Higher Education Statistics Agency HESA in 2018. NB: Modern universities are defined as higher education institutions that were granted university status in, and subsequent to, 1992. UWL received the rankings listed above when compared to all other modern universities ranked in the guides/surveys cited. These days, good things don't come to those who wait –they come to those who move. As a student on the MA Advertising, Branding and Communication course at the University of West London, you will become a strategic thinker and communicator to create cutting-edge advertising, brand and design campaigns. We build your understanding of brand communication, professional graphic design, advertising strategy and creativity to help prepare you for your future career. A blended-learning environment is at the centre of this inspiring and critically reflective community. The Food and Hospitality industries have experienced tremendous growth and resilience in the 21st century, and the demand for skilled employees continues to grow. SMEs (Small and medium-sized enterprises) have also witnessed considerable development despite the economic slowdown. This postgraduate award in food business and management has been designed to produce graduates who are exceptionally well equipped with the aptitudes and competencies necessary to design, manage and lead developments within the food industry. Cyber security is a key issue in the provision of services, from the application layer through to the basic building blocks of computer and network systems. This masters degree course in Cyber Security is being offered by the School of Computing and Engineering and has been developed in response to a high demand for cyber security professionals with a systematic understanding of the principles and technologies underpinning today's IT systems. This course is ideal for Accounting and Finance graduates seeking to improve their employment and personal development opportunities. Applicants with professional qualifications and industry experience are also encouraged to apply. Members of the Association of Chartered Certified Accountants (ACCA) have a particular advantage in that they may claim for exemptions from certain modules on the MSc Finance and Accounting course, based on completion of the ACCA’s professional-level papers.